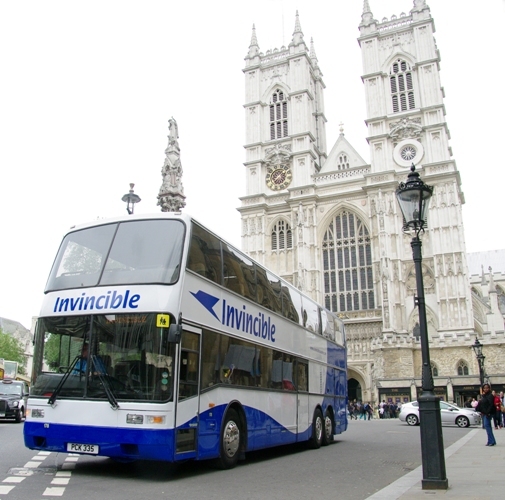 At Invincible we have a selection of vehicles for hire from 16 to 80 seat coaches & buses. We offer a professional high quality service, and are able to cater for all requirements, having many years of experience of coaching from school transport through to corporate hire. We are proud to focus on providing safe and reliable transport for students, operating a number of local authority home to school routes as well as providing coaches for hire aimed more specifically at school and youth groups, please see the Big 70 Seater link for more information. We operate a number of local bus routes in and around the Tamworth and Lichfield areas, timetables for these routes can be found on the Local Bus Services link. Over the recent couple of years we have expanded further by the acquisition of established local operators, including Elkin Travel of Sutton Coldfield, Home & Away Coaches of Atherstone, Acorn Coaches of Tamworth, Vals Classic Coaches of Rugeley & Castle Coaches of Tamworth.